Getting a new car isn’t as simple as finding low Nissan Murano pricing the first time you walk into a dealership near New Orleans, LA. It takes a bit more time and planning than that. But that doesn’t mean that the process has to be difficult or uncomfortable for you. You just have to take the necessary steps before you shop to ensure you have everything you need to enjoy an easygoing car-buying experience. Check out a few of the steps you should take before you start shopping, and you should have a much easier time getting into the kind of car you have your eye on. First of all, you’re going to want to get your finances in order as much as possible. After all, buying a new car is expensive, even if you find amazing Nissan Murano pricing. You should ensure your credit score is high enough to allow you to get the kind of rates you want on your auto loan, and you also need to check to make sure you have enough money in the bank for a down payment on a car. When you take these steps ahead of time, you will have the preparation you need to get into the kind of car you need. It’s also important for you to check out different dealerships near New Orleans, LA, to determine where you want to shop. Not every dealership is the same, so you want to be sure that you shop at one that can give you everything you need out of your car-buying experience. It’s a good idea to check online for reviews other customers have left. You may be looking for Nissan Murano pricing, but are you absolutely sure that’s the perfect vehicle for you? Take a look at some other Nissan models as well so that you don’t overlook anything that may serve you well. Doing your research ahead of time ensures that you get into a car that will give you everything you want for years to come. 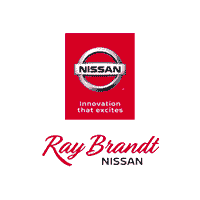 When you are ready to search for excellent Nissan Murano pricing, you have to make a stop by Ray Brandt Nissan. We can’t wait to help you search for the ideal vehicle.